Hair coil or hair spiral are great accessories for wedding hairstyles or any type of formal updos. 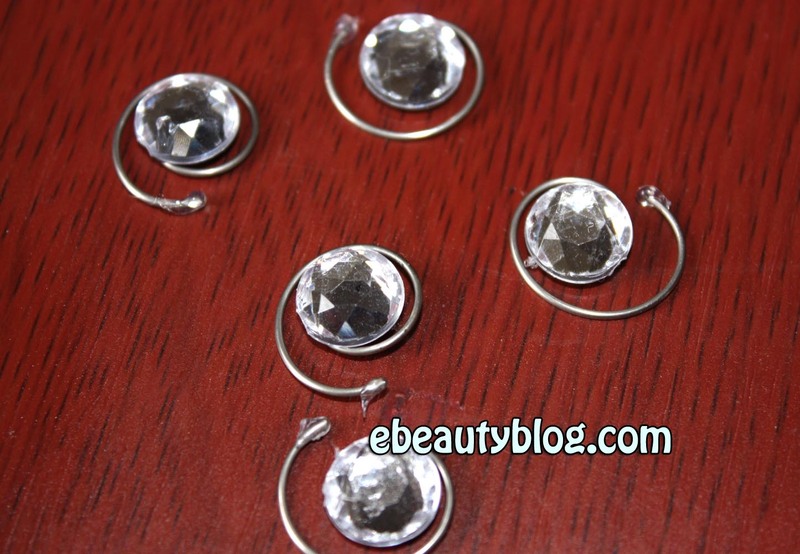 Depending on the quality of the rhinestones, it can get quite expensive. 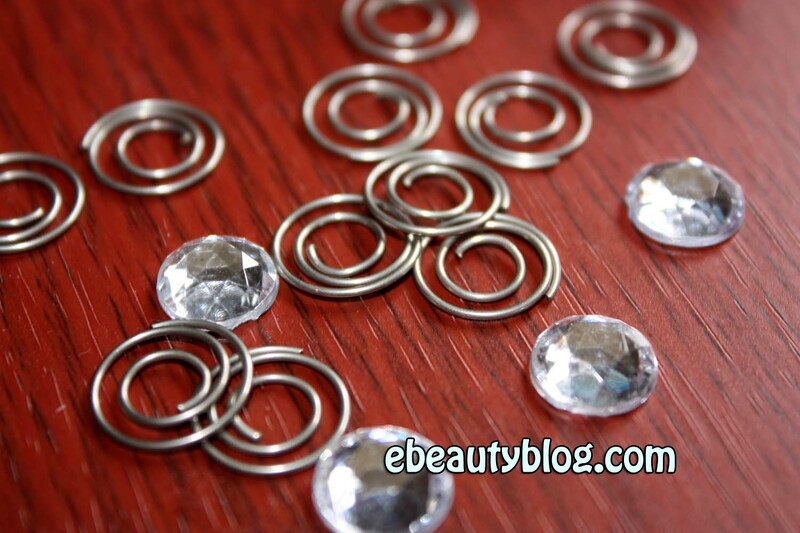 What you'll need is a glue gun, some rhinestones and spiral paper clips. I got everything at a craft store for about $10. All you need to do is plug in the glue gun, wait 30 seconds for it to warm up, place a small amount of glue onto the inner rim of the coil then place the rhinestone on top of it. Depending on the type of coil...you may need to pull or spread it out a little bit to make it easier to clip onto your hair later on. Lastly, place a small amount of glue at the end of the coil to seal its roughness. -Finish one first and test it by placing/clipping it onto your hair to see if it's the way you like it. 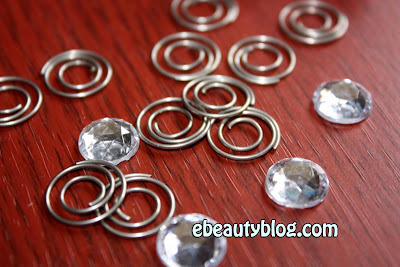 -If you really don't do any crafting at all, get the inexpensive materials to work with. 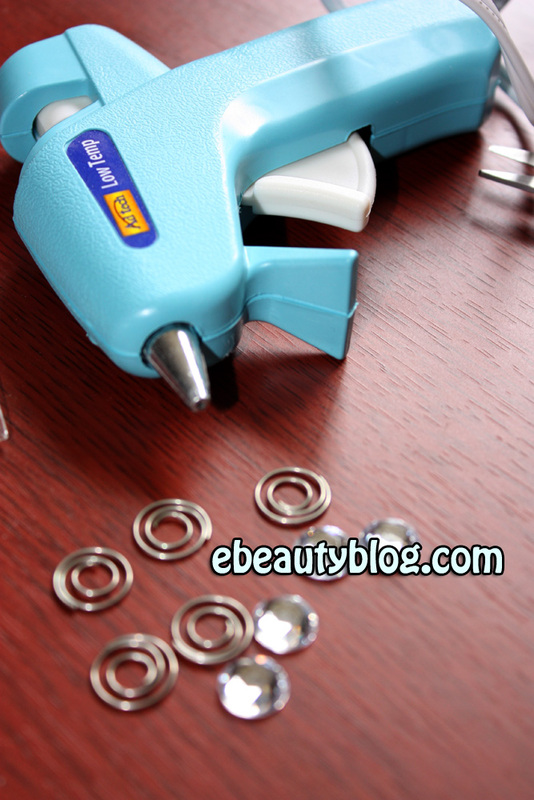 Like the glue gun, they come in different sizes, quality and prices. It's better to get cheap materials to test and practice; and get the hang of it before working on more expensive ones. -Don't leave the glue gun plug in for a long time. Or let it sits on a nice surface. Prepare to work with it once it's plugged in...it gets hot pretty quickly. great tutorial, wish I can be so crafty! Wow i like these hair coil. so nice. Thanks for the post. Nice :D check me out as well! Love this wedding hair coils, it's great to have this on my wedding day next year.